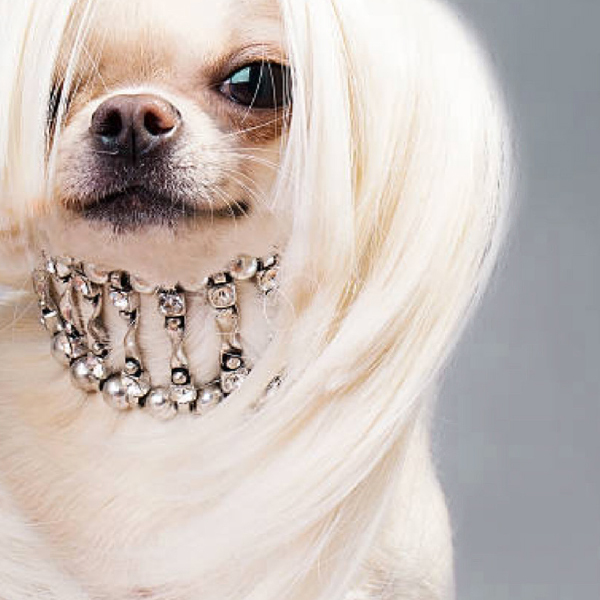 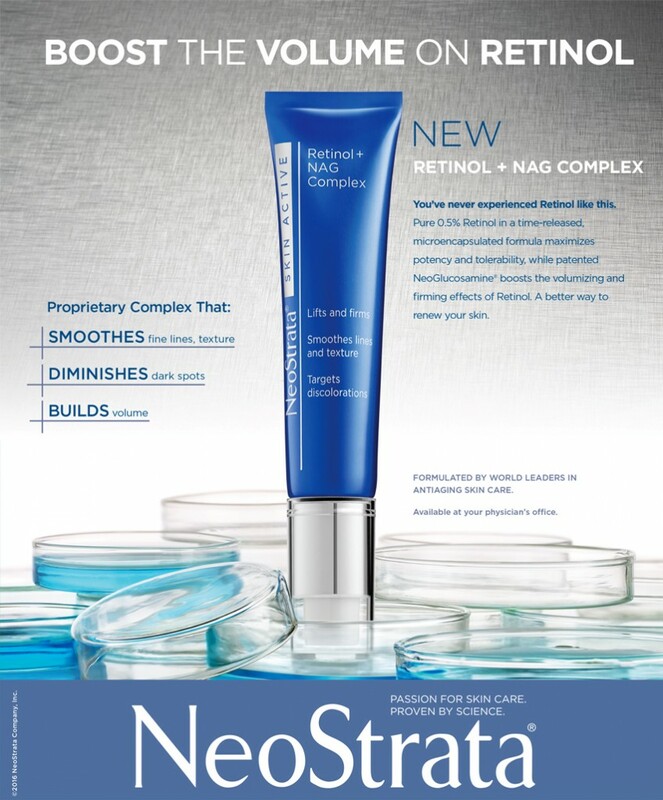 Full-page ad for New Beauty magazine. 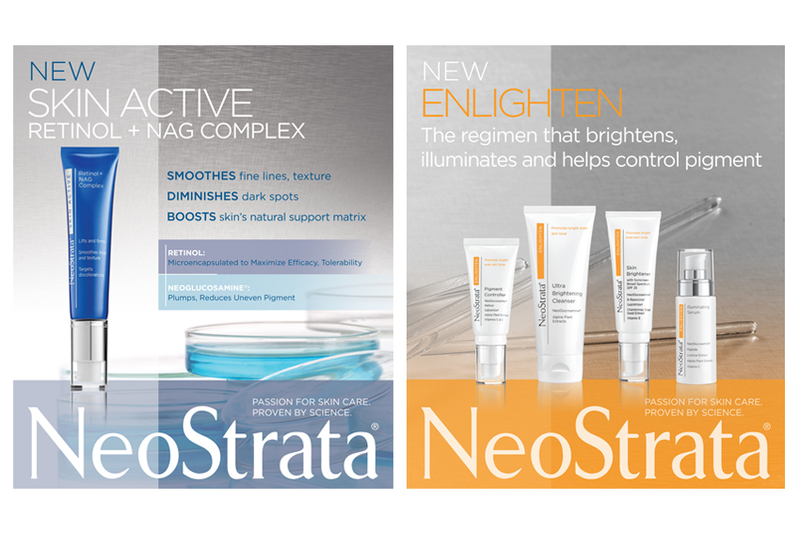 NeoStrata has a passion for developing the very best in antiaging skincare through cutting-edge formulations. 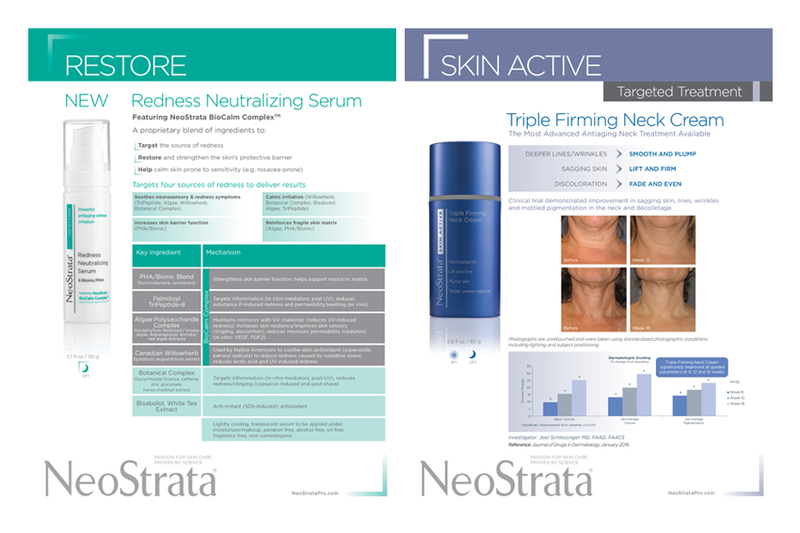 The primary audience are physicians, followed by women who are serious skincare connoisseurs. 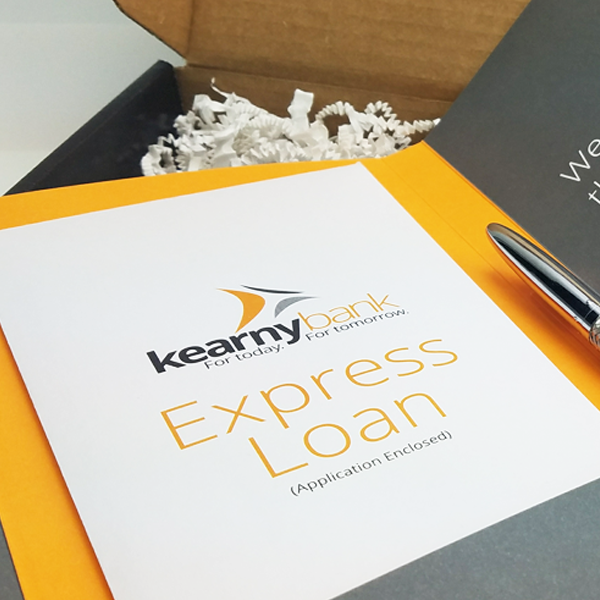 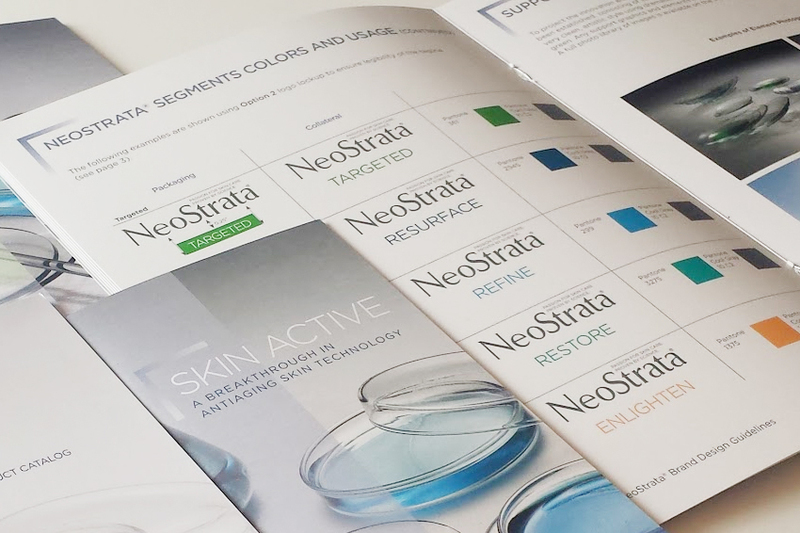 Based on the rebrand, the ad and tradeshow materials excluded the use of models and instead focused on the science behind the innovative culture of the brand. 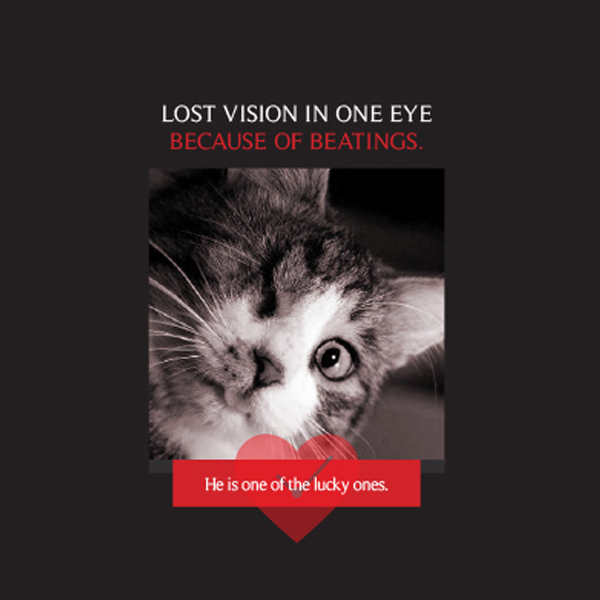 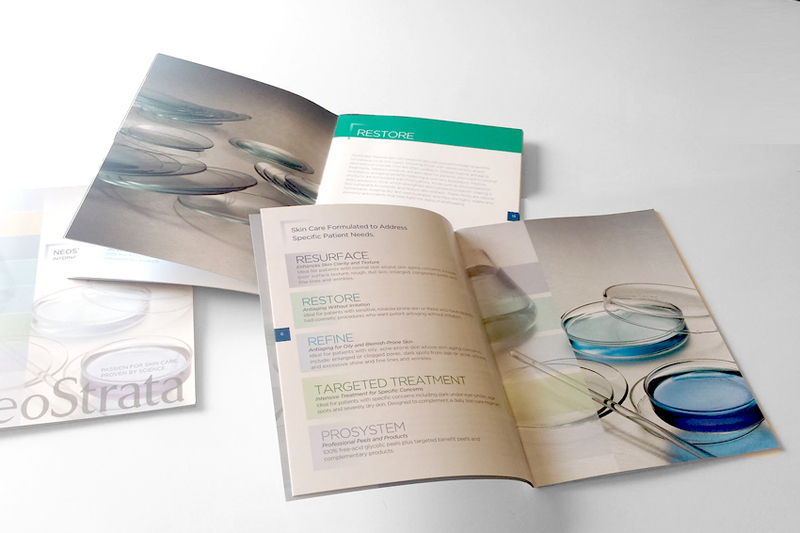 The language is deliberately straight-forward and focuses on the science and the clinical studies. 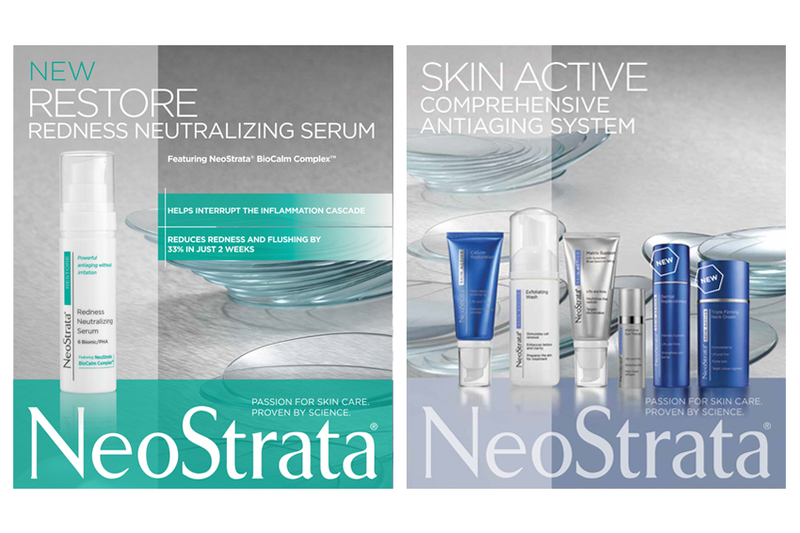 The ad is brought to life through elegant, scientific imagery which represent NeoStrata’s dedication to skin health and antiaging while staying true to its dermatological heritage. 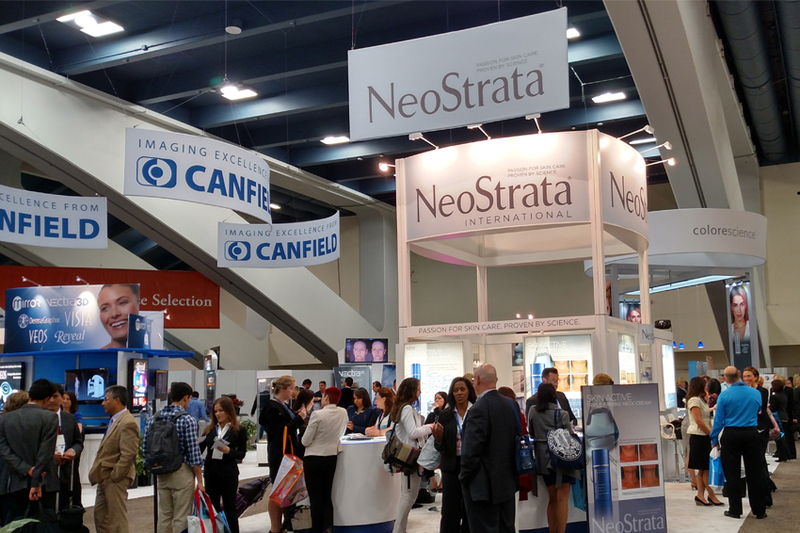 Tradeshow backlit panels for Restore and Skin Active product lines. 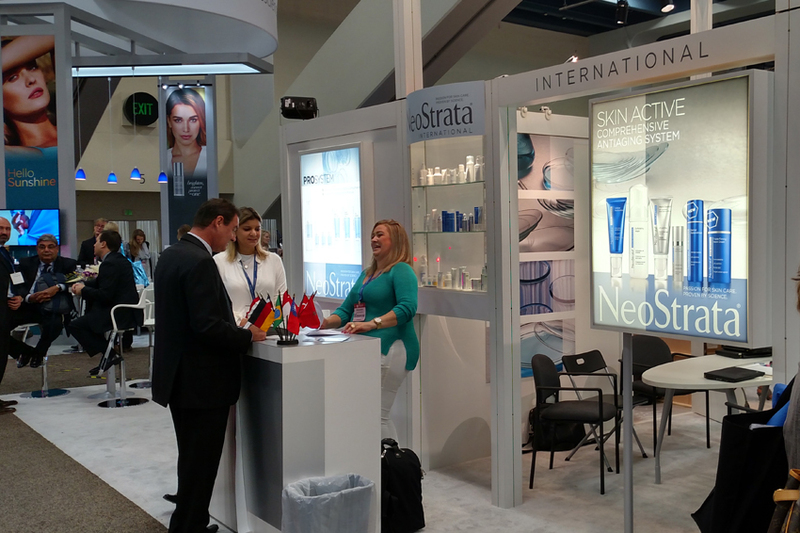 Tradeshow backlit panels for Skin Active and Enlighten product lines. 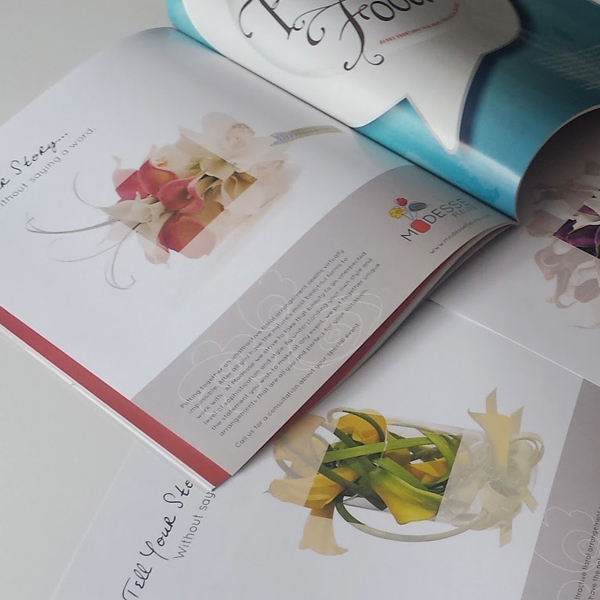 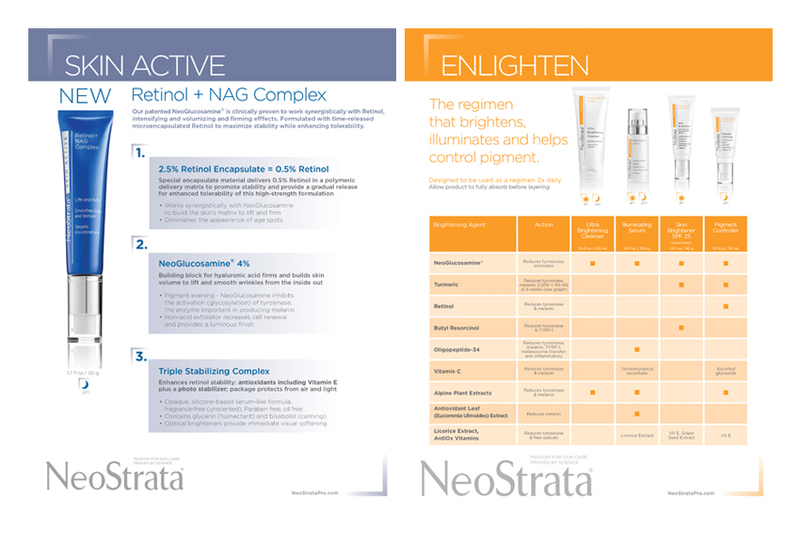 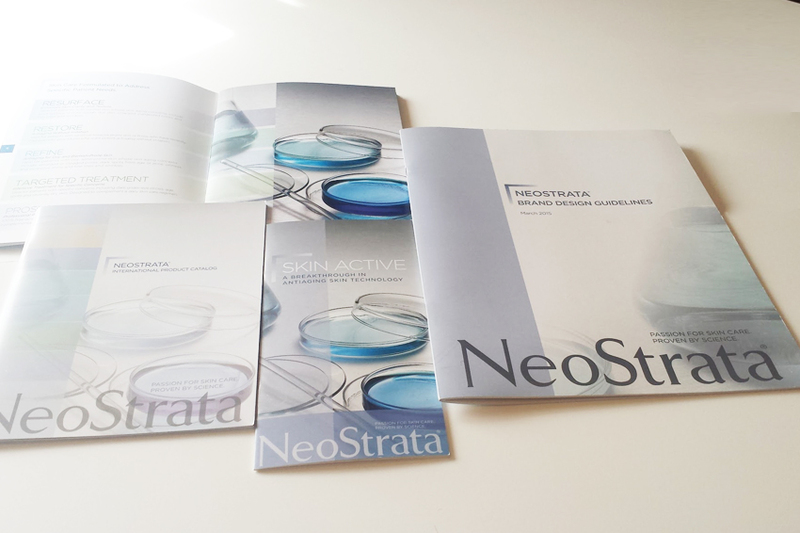 Skin Active brochure and NeoStrata brand identity guidelines.